The supplementation of an arbitration award under Article 49(2) of the ICSID Convention is a remedy for inadvertent omissions in the award due to an oversight on the part of the tribunal which is likely to be corrected by it once this oversight is pointed out. This oversight should however concern a “question” before the tribunal, i.e., an issue that affects the award and is of sufficient importance to justify the procedure leading to a supplementary decision. 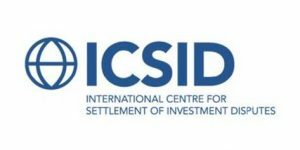 Requests for the supplementation of an arbitration award under the ICSID Convention seldom succeed. Typical examples where supplementation is justified would be the inadvertent omission of an item in the calculation of damages or of a factor in determining costs. In RDC v. Guatemala, arbitrators rejected claimant’s request to supplement the amounts awarded in order to offer the claimant a reasonable rate of return on certain sunk investment costs. The tribunal held that its final award had dealt with all questions relevant to the determination of compensation for Guatemala’s breach of the fair and equitable treatment standard. The tribunal correctly observed that the claimant was asking the tribunal, in its request for supplementation, to engage in a theoretical exercise that would compensate the investor for some discounted version of its sunk costs, as if the investment lacked any track record. In fact, the tribunal noted, there was a track record for the investment, and it made no sense to add a theoretical rate of return in light of the actual track record of the claimant’s loss-making project. (c) the arbitral tribunal’s determination that the claimants were not entitled to recover compound interest on the lost profits awarded. The arbitral tribunal found that the claimants had not identified any questions that the Arbitral Tribunal omitted to decide within the meaning of Article 57 of the ICSID Additional Facilities Rules, applicable in this case. Consequently, the application for a supplementary decision was dismissed. The tribunal also insisted that it had addressed all of the questions raised by the claimants “with at least as much seriousness and care as did claimants themselves in their written and oral submissions”. In the tribunal’s view, there was no omission requiring any supplementary decision. The request for rectification of the award was also denied. The tribunal had described some of the transactions the claimants had participated in as “highly questionable”. The tribunal thought this view “speaks for itself” and required no rectification. The tribunal ordered the claimants to pay all the costs associated with the proceeding for supplementation and rectification.